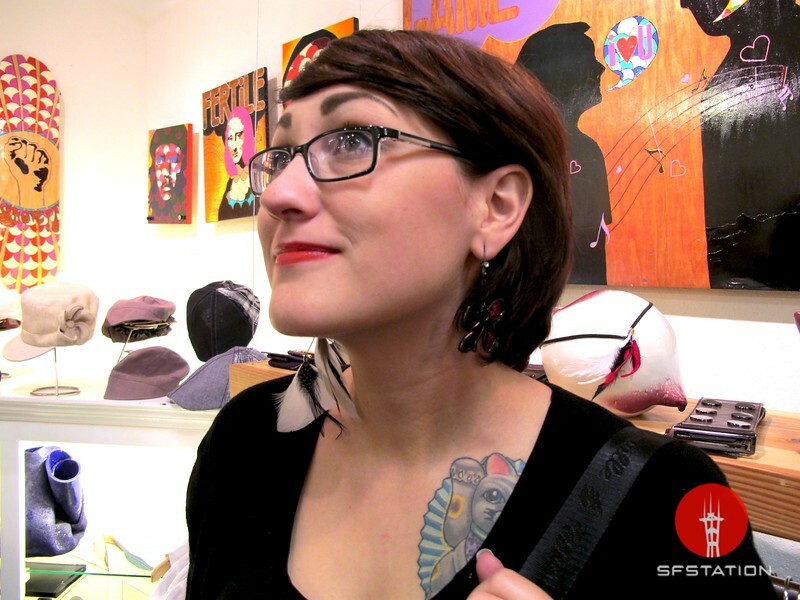 In This Scene: Lindsey Chesus at the Artillery AG and SF Station art opening for Charmaine Olivia. I love when people work two different earrings and it's great to do with flowy feather earrings like this one from Aldo. Chesus' bow red stained-glass earring is from an art sale.